Why Reliable Backup Services: As we move further into the age of high availability, we must adapt our business practices to this ever-changing demand. Data protection and backup solutions have become one of the most important aspects of managing your IT infrastructure. Conventional Data Back Up methods such as tape back or hard Drive backup have become outdated and unreliable. You don’t want to do daily backups and for sure need an automated process that reduces your work load at the same time. Moreover, these devices do fail at some point which can result in a loss of hundreds of dollars. Synergy IT Solutions Cloud Protection & Recovery solutions virtually eliminate planned and unplanned downtime by replicating data, applications and servers to the cloud in real time. Leading edge companies properly value their technical and business assets, and build a plan to keep them secure no matter what happens. Building a complete continuity plan requires innovative technologies with smart and easy to understand management tools. When disaster strikes, chaos prevails. We understand this inevitability and strive through Disaster Recovery System to ensure that our client doesn’t get in a rut. Disruption in business not only affects cost but also brand equity. Events such as Hurricane Sandy demonstrate why it’s so critical for small and medium-sized businesses (SMBs) to have a business continuity (BC) and data backup strategy in place. The answer to these unexpected events is a Hybrid Cloud Back up Solution. We have partnered with the industry leading Cloud Back solution provided by Datto Inc. Datto is the only hybrid-cloud BDR/IBC vendor that provides instant on-site and off-site virtualization and screenshot backup verification, serving the needs of small to medium-sized businesses. Business continuity and data backup provided via the cloud can reduce the overall costs of protecting systems, relieving the financial burden on SMBs. 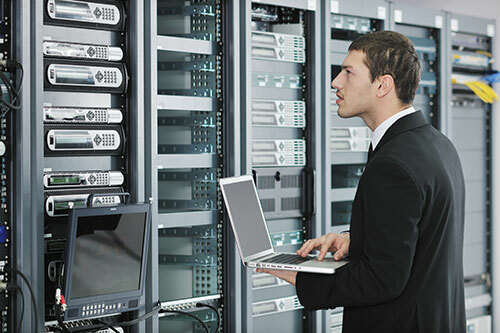 Having easily accessible, off-site systems on hand gives SMBs assurances that many basic business operations can continue in the event that main servers go down due to a power outage, flood, or other scenarios at headquarters or the central data center. Improved virtualization technology and the cloud have made remote data backup and recovery a more feasible option for many businesses, with the virtualization of servers and workstations allowing for continuous uptime. The virtualized servers, or virtual machines (VMs), are copies of servers or workstations that run on the hardware of a cloud server, rather than on the hardware of the original production machine.